Take action against Black Eagle Farm: Continue Inspections at Black Eagle "Organic" Egg Farm. "Officer Solar stated that on her last visit out to the farm on 12/8/09 that the laying hens on the property had been without feed since 12/4/09.” – Rachel Touroo, DVM. Virginia Department of Agriculture and Consumer Services, Animal and Food Industry Services/Office of Veterinary Services SUMMARY OF FINDINGS, December 9, 2009. However, in November 2009, Humane Farm Animal Care, which had previously certified Black Eagle as a “humane” egg producer, revoked the farm’s humane certification following suspension in October. In September 2010, Quality Assurance International (QAI), the organic certifier of Black Eagle Farm-Piney River Organics under the USDA’s National Organic Program, confirmed to Virginia attorney, Gina Schaecher, that QAI had sent letters of noncompliance to Black Eagle Farm stating that its organic certification would be suspended if the farm did not bring its operation into compliance with the USDA’s National Organic Program. As a result, Black Eagle voluntarily surrendered its organic certification. Notwithstanding, in August 2010, Humane Farm Animal Care concluded that a set of documents obtained by Schaecher under the Freedom of Information Act (FOIA) had assisted its decision not to recertify Black Eagle-Piney River as a “humane” farm under HFAC’s Certified Humane Raised & Handled program. At this writing, Black Eagle Farm is raising and housing “organic” chickens and selling “certified organic” eggs to customers through retail outlets under the Piney River Farm name. It is also engaged in bankruptcy proceedings. Black Eagle is not presently certified as a “humane” farm under any humane-certification agency that we know of. What did the FOIA documents reveal about Black Eagle Farm’s “organic, free-range, cage-free” hens? On December 10, 2009, Daniel A. Kovich, DVM, MPH, Staff Veterinarian for Animal Care and Health Policy with the VA Department of Agriculture and Consumer Services, sent an email to his colleagues stating that “Black Eagle Farm, located in Nelson County, is currently undergoing foreclosure” and that Nelson County animal control, as well as his office, had been receiving “numerous calls” regarding the condition of the sheep and working sheep dogs on the property. It appears that the flock of 25,000 free-range laying hens was not being provided with necessary feed as a few birds from each house were found to be extremely thin to emaciated. . . . It was reported that the birds were without food for 7 days at the beginning of November and again without food for 5 days at the beginning of December. The farm manager also stated during the inspection that the birds underwent a forced molting 5 weeks ago and at this time they were without food for 2 weeks. . . . It appeared that mortality rate was higher than reported as in one small area of one house I observed at least 8 carcasses and only 1 deceased chicken was recorded for that day. What did the Virginia Staff Veterinarians for Animal Care Services DO for the thousands of hens who were suffering and dying at Black Eagle Farm? Did they help them? Following is a condensed summary of the emails that went back and forth among the VA Staff Veterinarians for Animal Care in December 2009. 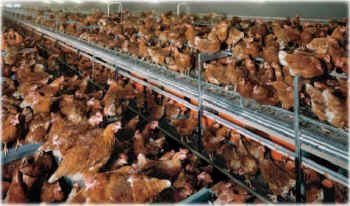 Bracketed terms represent clarifications by United Poultry Concerns. For example, the term “euthanize” as used by these veterinarians does not mean providing a humane, compassionate death for the hens. What does this email correspondence mean? 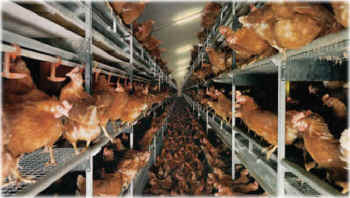 It means that from Dec. 1 to Dec. 27, 2009, apart a single shipment of corn for the starving hens on Dec. 9 – eight days after the Complaint against Black Eagle was recorded by the Office of Veterinary Services, followed by a visit to the farm by Staff Veterinarian Rachel Touroo on Dec. 16 – fifteen days after the Complaint was recorded, and then a visit by Dr. Chris McNeill on Dec. 18, the state veterinary staff and farm management did nothing but put the hens on a more nutritional mash until killing them – “The birds are currently on a standard layer ration, and albeit light, are apparently in reasonable body condition” (Dec. 21). 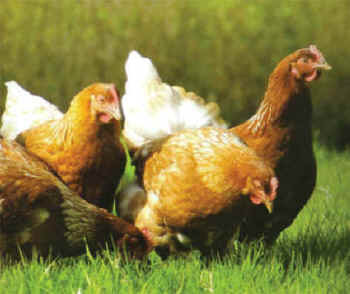 Black Eagle Farm was permitted to bring in new hens as soon as the existing birds were gone. Ten pages of disease information records from the Office of Laboratory Services regarding tissue samples taken from the birds at the farm in December 2009 were excluded as “privileged” from the FOIA documents provided by the Virginia Department of Agriculture and Consumer Services to attorney Gina Schaecher on January 19, 2010.